The international situation is marked by an uncertain and tenuous recovery from the global financial crisis of 2008. The austerity measures imposed by the ruling classes are being increasingly met with resistance by the people. In this context, the victory of a Left party, Syriza, in Greece, the worst hit by the crisis, is a significant development. The United States is exerting to retain its hegemony in the face of rising difficulties. Its military interventions in West Asia have caused havoc and destruction and is responsible for the rise of Islamist extremism in Iraq, Libya, Syria and other places. The US pivot to Asia with a view to contain China is another step to retain its hegemony. The United States has assigned India a key role in the strategy which the Modi government is eager to embrace as seen in the Joint Vision Statement issued during the Obama visit. The Draft Political Resolution spells out the contours of this rightwing offensive under the Modi government. The nine month period of the Modi government is marked by an aggressive push for neo-liberal policies: More FDI in all sectors of the economy; bigger disinvestment of public sector shares; making it easier for big business to acquire cheap land and entry of mining and industrial projects at the expense of the peasants and tribal people by making amendments to the land acquisition law through an ordinance; further strengthening of the position of capital relative to labour through changes in labour laws. This is accompanied by an attack on the rights of the people. There are significant cuts in social sector expenditure, curtailment of the MGNREGA programme, increase in drug prices and efforts to dismantle the FCI and the procurement from farmers. The advent of the Modi government has led to the multi-pronged campaign of the RSS-Hindutva forces which threatens the secular democratic basis of the Republic. The reconversion, attacks on minority rights, retrograde patriarchal notions of women and glorification of Nathuram Godse are part of this Hindutva project. The RSS interaction with the government has got institutionalized. 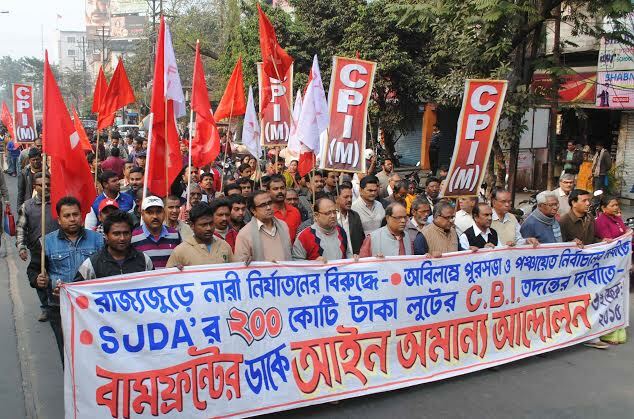 The Draft Political Resolution spells out concrete steps to be taken in the political, social, cultural and educational fields to counter the communal ideology and the activities of the Hindutva forces. The Draft Political Resolution spells out the future political direction of the Party. “2.67 The Party has to fight against the BJP and Modi government’s policies. This is the main task at hand. This requires a concerted opposition to the Modi government’s economic policies and its Hindutva oriented social and educational policies. The Party has to conduct a political-ideological struggle against the BJP-RSS combine. 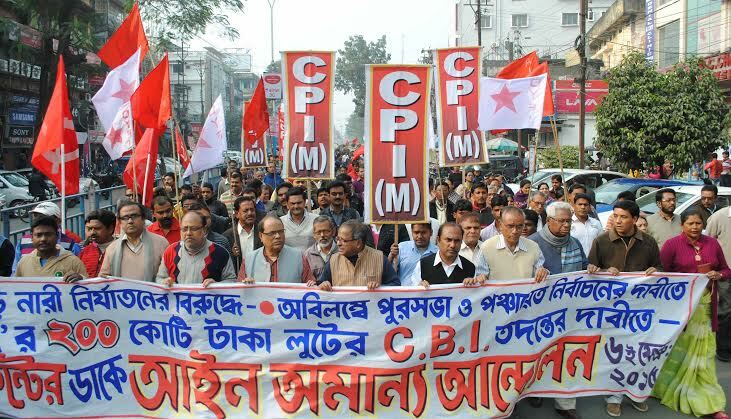 The fight against communalism cannot be conducted in isolation. It has to be integrated with the struggle against the neo-liberal policies and in defence of the people’s livelihood. 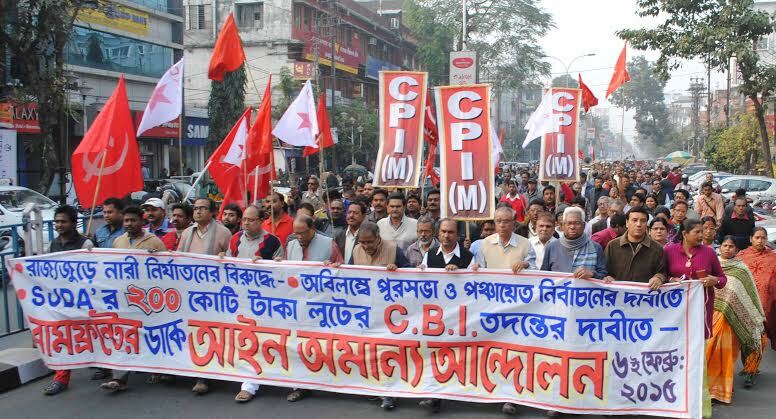 “2.68 While the main direction of the struggle is against the BJP, the Party will continue to oppose the Congress. It has pursued neo-liberal policies and it is the Congress-led UPA government’s anti-people policies and corruption which helped the BJP to acquire popular support. The Party will have no understanding or electoral alliance with the Congress. 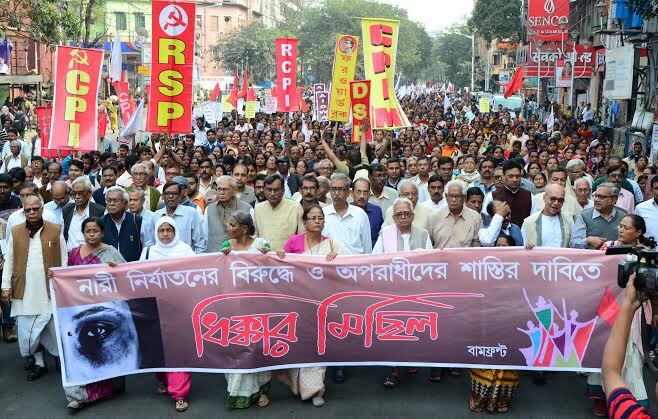 “2.69 The fight against the neo-liberal policies requires the struggle against such policies being pursued by the state governments, including those run by the regional parties. It is also necessary to politically oppose the bourgeois-landlord politics and policies of the regional parties in order to organise the working people and mobilise them around the Left and democratic platform. “2.70 The Party will give primary attention to developing and building the independent strength of the Party. At the same time, the Party will strive to develop united actions on people’s issues, defence of national sovereignty, states rights and against imperialism with other democratic forces and non-Congress secular parties. Joint platforms for mass movements and united struggles are necessary if the Party is to expand its independent strength. 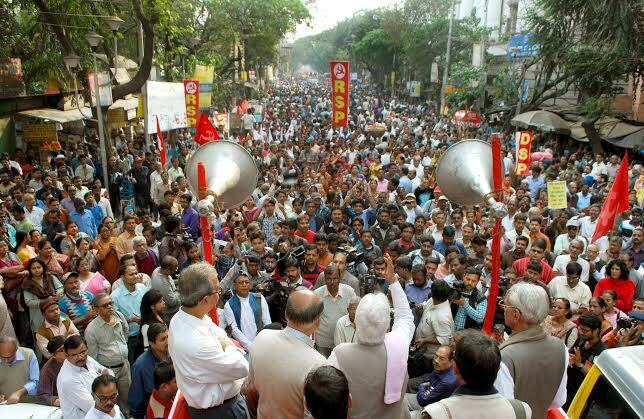 The united actions of the class and mass organisations will seek to draw in the masses following the Congress, the BJP and the other bourgeois parties. · The broadest mobilization of the secular and democratic forces against the communal danger and in defence of secular values should be undertaken. · The Party should consistently take up the anti-imperialist agenda. This includes mobilizing the people against the growing strategic ties with the US and the ruling classes succumbing to US pressures. 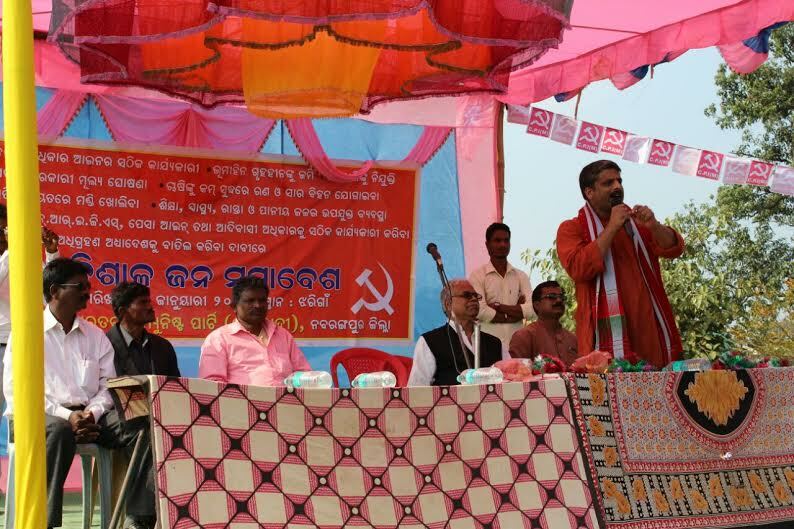 · The Party should step up its efforts to defend the interests of the socially oppressed sections, dalits, adivasis and minorities. 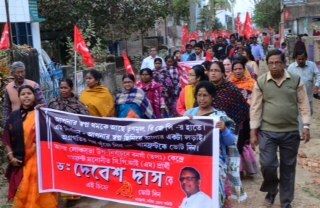 The Party should directly intervene to defend the rights of women and to fight against the growing attacks on women. 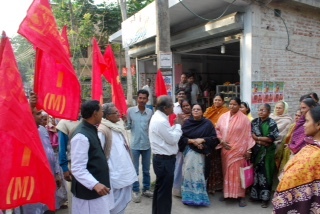 · The struggle to defend the Party and the Left from the violence and attacks on democracy in West Bengal must be supported by an all India campaign to defend democracy and democratic rights. 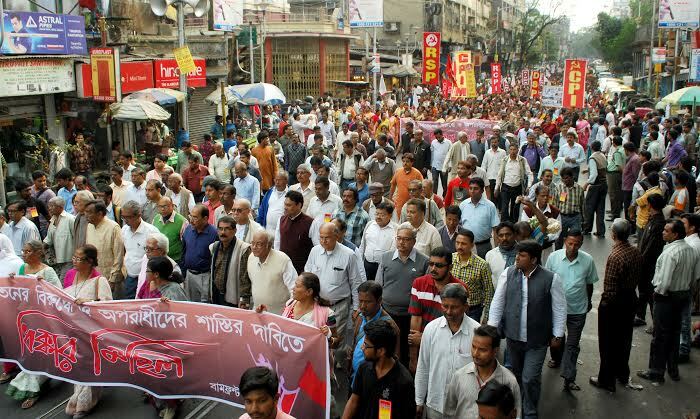 · Building and widening Left unity, rallying the various classes and working people around the Left and democratic programme so that progress can be made towards forging the Left and democratic front.